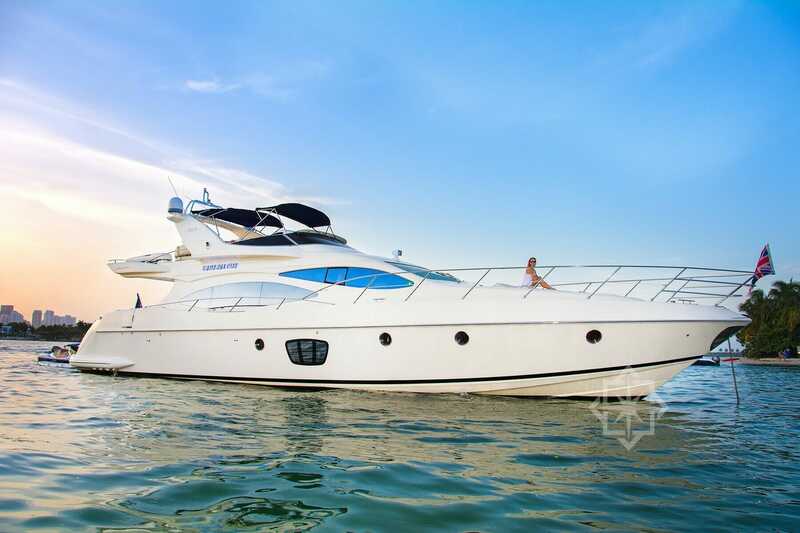 Is the perfect weekend boat for Florida and the Bahamas from South Beach Yacht Rentals. 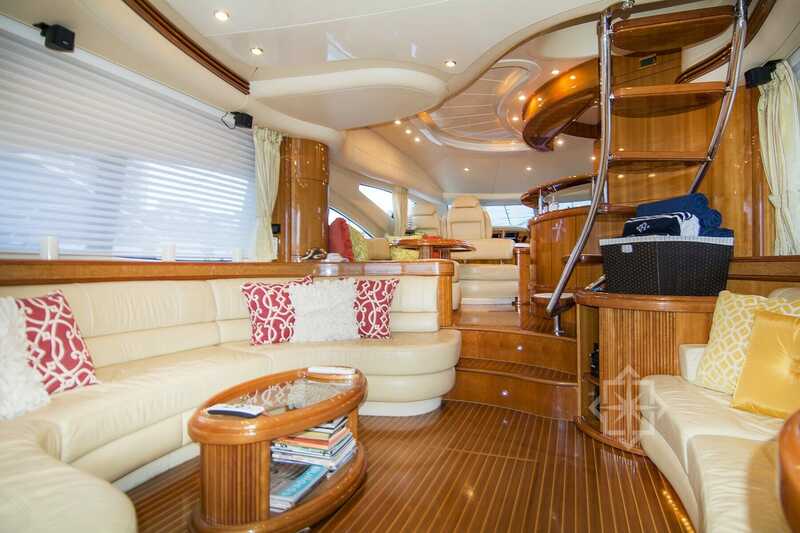 It has the comfort of a large yacht yet still sporty like a cruiser. 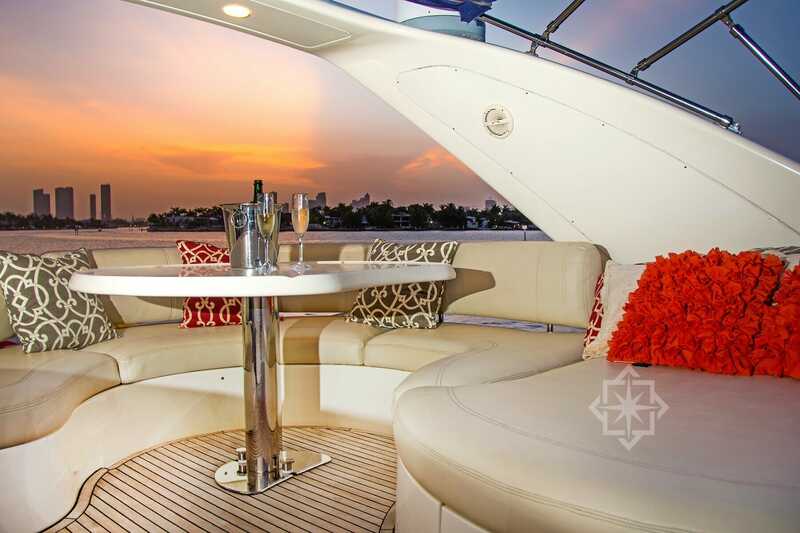 The flybridge provides maximum use of available space with wrap around seating, two lounge chairs. There is even an area that converts into a small sunpad for laying out as well. 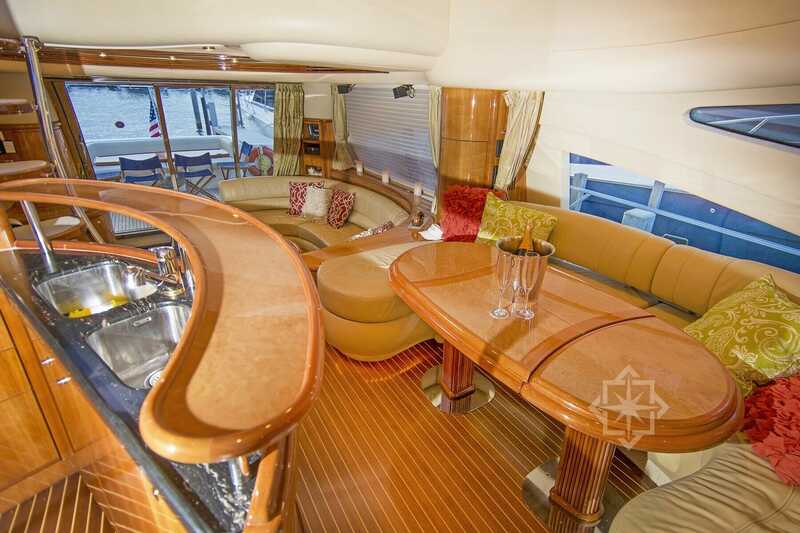 The Salon has a large galley and plenty of seating for all your guests. 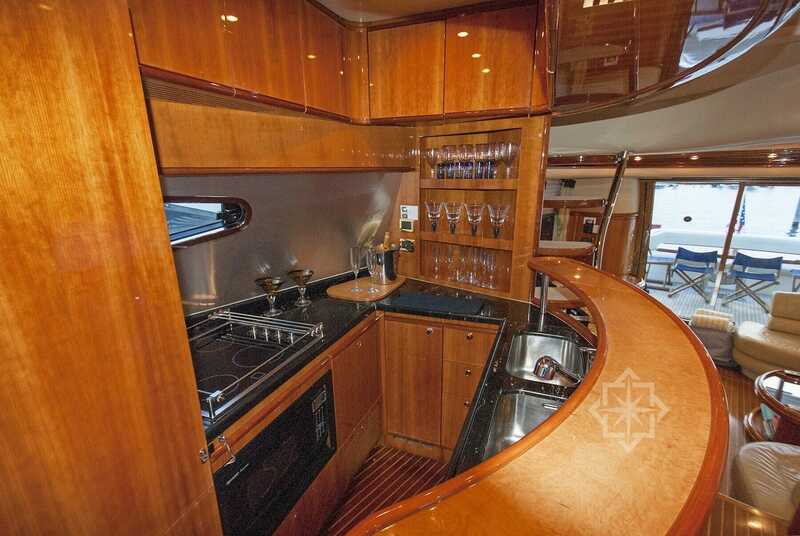 Depending on how you are feeling you can have your pick of dinning areas on this well thought out yacht! 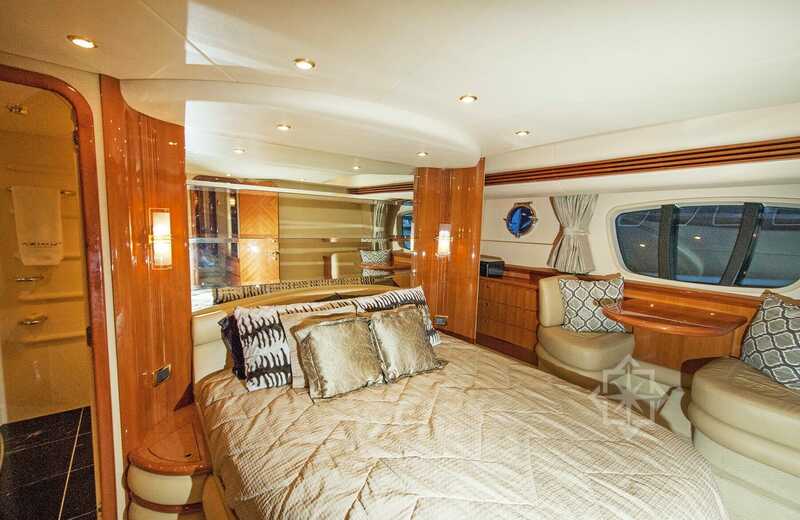 The yacht features four well appointed staterooms with a full beam master and a spacious VIP suite. Water toys included are Jet Ski, Tender, Paddleboards, Seabobs and towables. 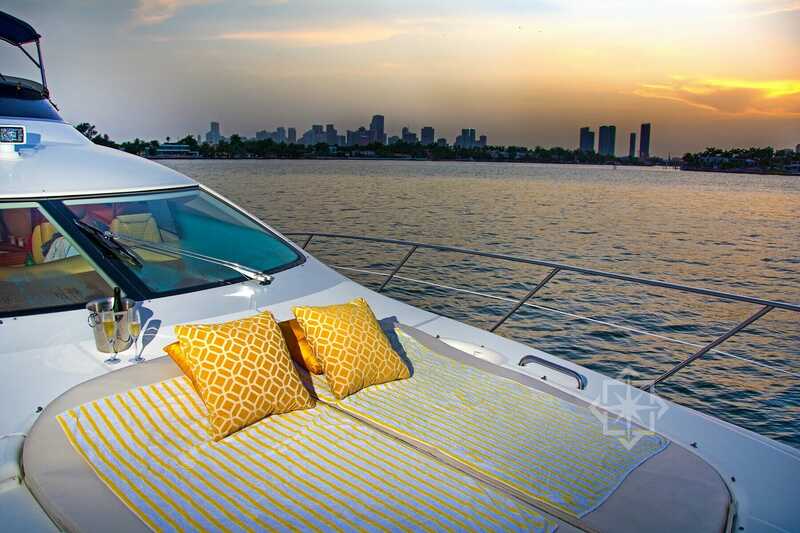 Your guests will definitely have a great time on the charter with this awesome yacht!